Egypt-Japan University of Science and Technology (E-JUST) welcomed Japanese International Cooperation (JICA) Director in Europe and the Middle East Mr. Mastaka Takishita. E-JUST project grabbed the attention of the Japanese government after President El-Sisi’s visit to Japan. He was immensely concerned with the development of the Higher Education system as well as the Basic Education in Egypt where the Japanese experience can be applied. 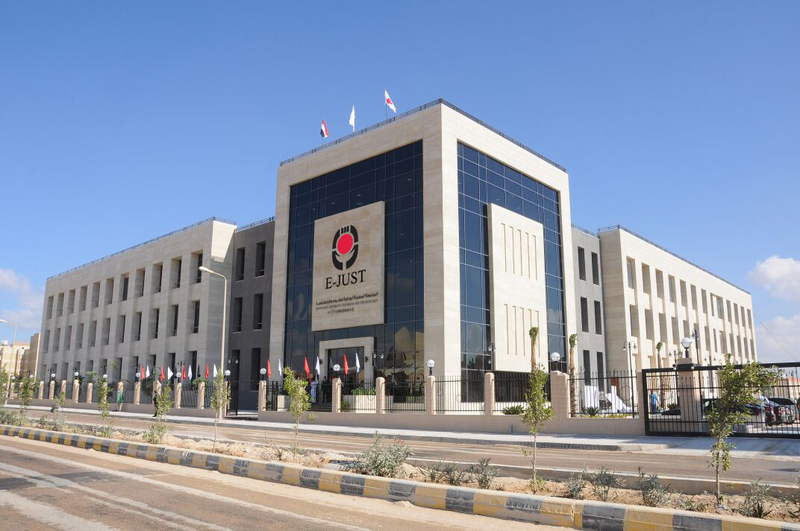 Mr. Mastaka visited E-JUST permanent headquarters, which is built on an area of 200 acres at the cost of 3 billion EGP, where the first phase of the construction work ends this year. A tour was made to the Central Research Laboratories Building that includes one of a kind Japanese funded research and educational devices in the Middle East. E-JUST President Prof. Ahmed Al-Gohary stated that the university permanent headquarters shall be a unique one in Egypt. He also expressed his happiness with E-JUST and JICA fruitful partnership. This is represented in hosting 100 Japanese visiting Professor annually; to contribute in the Scientific Research and teaching both undergraduate and postgraduate students. Besides, training of Faculty staff members and administrators in Japanese Universities. In addition to the Grant Aid of Undergraduate Laboratory equipment at the cost of 27 USD. He also added that E-JUST is regarded as one of the scientific and knowledge beacons in Egypt. The University is considered to be a role model for positive cooperation between Egyptian and Japanese governments. Accordingly, this will have its huge impact on University Educational system development in Egypt. E-JUST is the first Japanese University to be established outside Japanese grounds. It aims at building and developing human resources potentials scientifically and technologically in Egypt and African countries. The University started to receive admission application for the new Academic year in Faculty of Engineering and Faculty of International Business and Humanities.